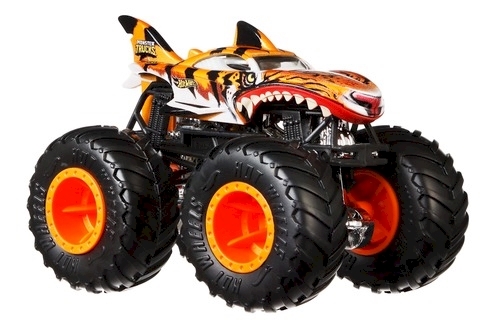 The Hot Wheels® Monster Trucks 1:64 scale die-cast trucks are the baddest trucks ever built for competition and ultimate dominance! They square off in head-to-head battles with their GIANT wheels! 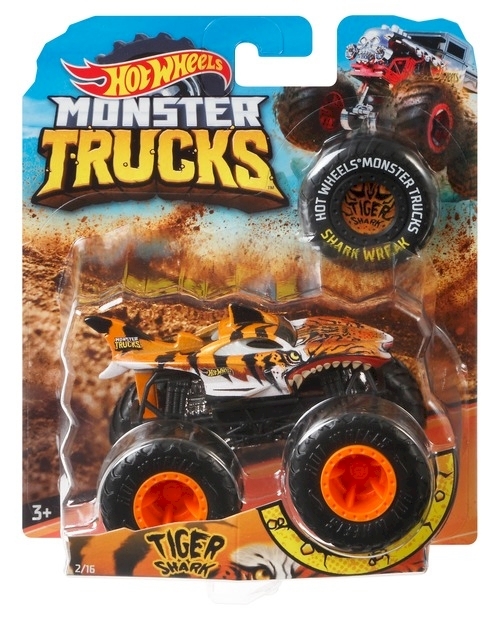 Every truck includes a collectible wheel and the package provides stats for each including name, truck type, strength, unique crash attack and motor-vation for great storytelling fun! Each sold separately, subject to availability. Colors and decorations may vary.